Since the 2000s, Vismara has been paying meticulous attention to a fast growing sector, that of home entertainment, by conceiving original and exclusive projects that reflect both global and Italian trends. 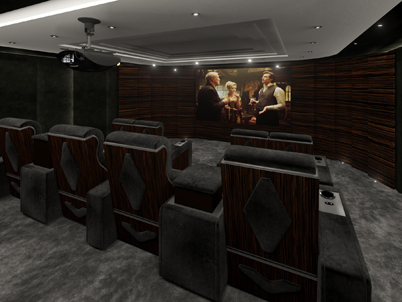 In recent years, leisure spaces, such as private game rooms and home theaters, have in fact become a real must have for villas and exclusive apartments. Vismara has been able to interpret this trend with creativity and passion, designing highly customisable collections. 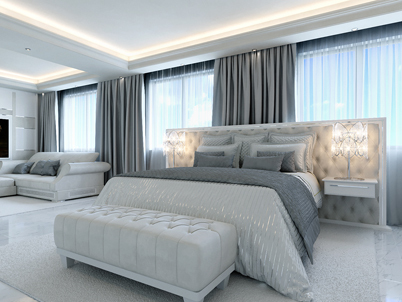 Vismara’s projects, as a fruit of the best designers experience and inspiration, combine an elegant style, typical of Made in Italy, with the usage of innovative technology so as to gift a unique experience dedicated to luxury and comfort. 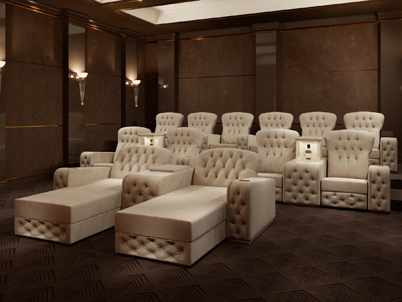 Private home theaters, designed by Vismara, are comprehensively equipped: from reclining armchairs with every comfort to sound absorbing panels and A/V systems – which can be said to be the best on the current market. Private game rooms are fitted with different game tables, ranging from poker and chess tables to ping-pong, black-jack, roulette and Mahjong tables. In addition, there is a rich and wide choice of accessories and furnishings that make the environment even more refined and classy. Vismara curates each phase of the entire project: from the development of the basic concept to details choice, from its realisation to its installation – doing so, the company leaves its customers free to tailor the products accordingly.